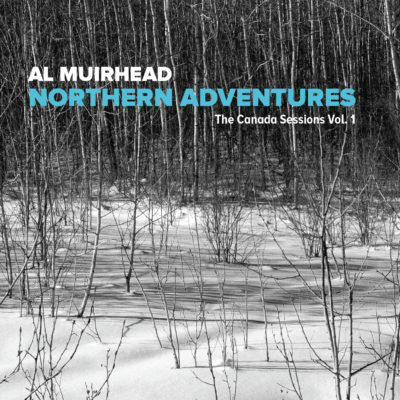 2016 JUNO-Nominated trumpeter Al Muirhead’s most ambitious project to date, Northern Adventures – The Canada Sessions Vol. 1 is a collection of standards pairing him with many of Canada’s jazz greats! Northern Adventures – The Canada Sessions Vol. 1 brings together a veritable who’s who of the Canadian jazz scene in five small groups. In order of appearance on the album performing with Al are award-winning musicians Don Thompson (piano/bass) and Reg Schwager (guitar), Guido Basso (trumpet/flugelhorn) and Tommy Banks (piano), Laila Biali (vocals), Ben Wittman (percussion) and Kodi Hutchinson (double bass), Mike Murley (saxophone) and Chris Andrew (piano), and finally Campbell Ryga (saxophone) and Mike Rud (guitar).